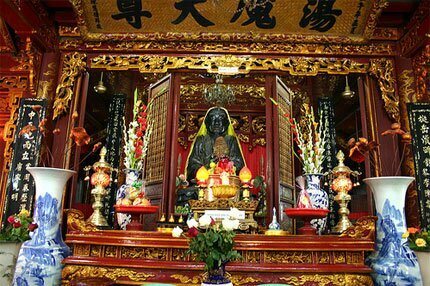 Quan Thanh Temple is located at the crossroads of Thanh Nien Street and QuanThanh Street, near West Lake, Ba Dinh District, Ha Noi. Built during the reign of King Ly Thai To (1010-1028) and renovated many times, the temple is also called Tran Vu temple, since it is dedicated to Huyen Thien Tran Vu (Guardian of the North of the Country). 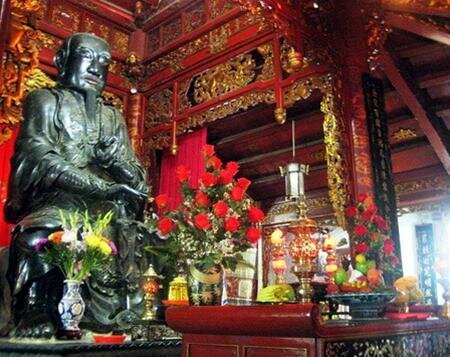 QuanThanh temple is an important historical and cultural place in Hanoi. To sum up,religious visitors often come to Quan Thanh temple at the Lunar New Year and on the first and fifteen day of the lunar month. The purpose is to worship and pray for health, luck and happiness. Visitors also can enjoy the spacious and charming landscapes here, relax and find out the ancient and romantic beauty of Hanoi in the past and now.